Fall is one of me favorite times of year!! I love the cooler weather and the changing of the leaves. 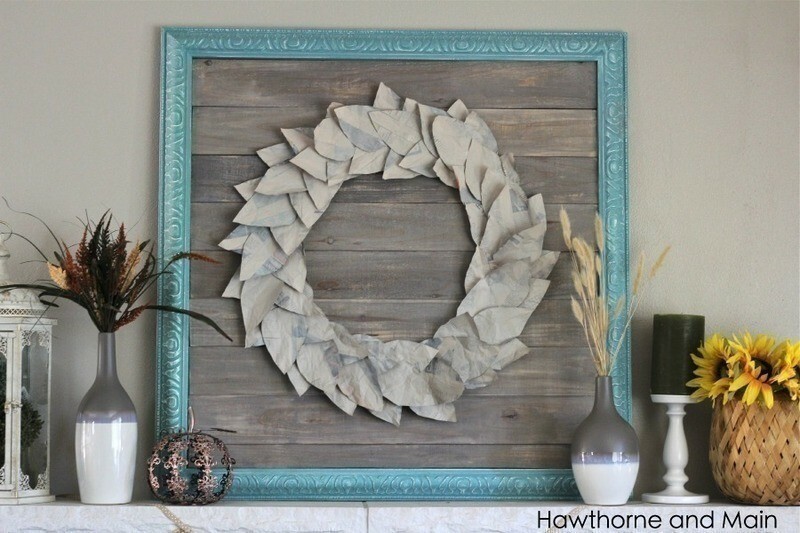 Come see how I used my thrifty skills to make this super cute wreath for FREE!! To start off you will need a box that is as big as the size you want your wreath base to be. I think mine ended up being about 2 feet across. For the outer circle I used my basket as a guide to draw my circle. The inner circle I just eye balled and free handed it. If yours ends up not being perfect like mine, it's ok, it will still work out. I used an X-Acto knife to cut around the lines. Once I had my frame all done it was time to make the leaves. 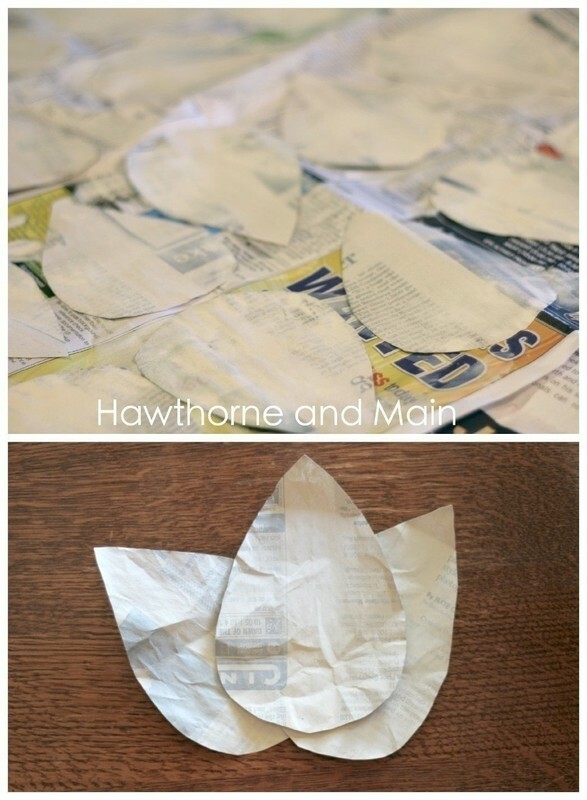 I happen to be a part-time couponer and so I have A LOT of news papers laying around. If you don't get the paper, chances are, one of your neighbors does. Try going outside early on a Sunday morning and look down the street to see who has a newspaper sitting in their driveway. Ask them if you can have it when they are done reading it. I really like the look of just plain newspaper but I ended up deciding to paint the leaves. I had some left over paint samples from when we painted the inside of our house. I grabbed one of those and added about 1/2 cup water to 2 tablespoons paint. I basically wanted to make a white wash. This is the same process that I used when I made my DIY Barn Wood. The white wash made it so that I can still see some of the words on the newspaper. It worked very well. Once they were all dry I gather them up. As I picked up each one I gently crumpled it into my hand to give the paper some dimension. 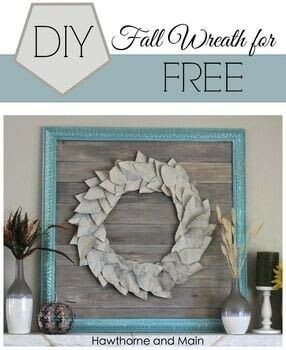 DIY barn wood picture frame so nicely and it just has a fun fall feel. Plus the thing was FREE to make, a total bonus!!! What do you think of this FREE fall wreath? I would love to chat with you on Instagram, Facebook or the comments section below.